Peninsula Heating & Cooling is an authorized dealer for Daikin and Coleman heat pumps and ductless heat pumps. Peninsula also carries a line of high efficiency natural gas furnaces and modern oil furnaces. Our factory trained technicians provide excellent installation, repair and preventative maintenance for heat pumps, furnaces, boilers, gas fireplaces and water heaters, whether they are electric, gas or oil. Save money now and for years to come with a high efficiency heat pump, ductless heat pump, gas furnace or energy-saving water heater and receive substantial rebates from your local utility. Click here for the latest offerings! At Peninsula Heating and Cooling, it’s all about your comfort. We install and service the highest quality heating and cooling systems for your home. Whether you’re needing a new heat pump, a ductless heat pump, a high efficiency gas furnace, or expert service for an existing system, we provide solutions that are reliable, efficient and affordable for your family. At Peninsula Heating and Cooling we’re committed to your comfort at home, AND your comfort in choosing the heating and cooling system that is right for you. We carefully listen to your needs and priorities for cost, comfort and efficiency. We strive to educate you on your choices and we will never try to sell you a system that is not a fit for your needs. 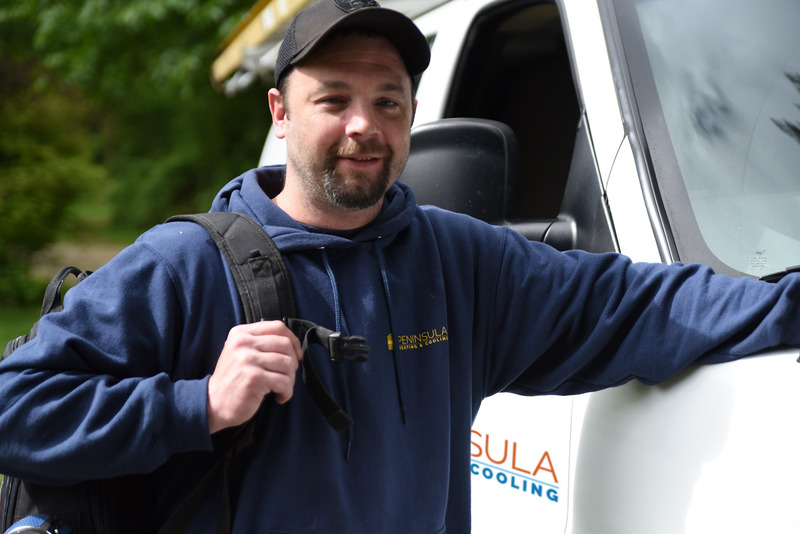 Peninsula Heating & Cooling is a family-owned business that has been serving the Greater Kitsap Peninsula since 1996. So to take comfort in knowing we will be there for you and your family for years to come. Thank you for the privilege of serving you and your family’s comfort needs. We stand ready to serve whether you need urgent service to your existing heating or cooling system, preventative maintenance, or a brand new, high efficiency system.